Solo Launcher is best free Android Phone Launcher. This launcher is having all premium features for free. There is no need to pay for extra features. Solo launcher is not showing ads. In this tutorial I will show you, how you can download this launcher. And how you can get full benefits out of this android phone launcher. So, downloading process is pretty much easy. 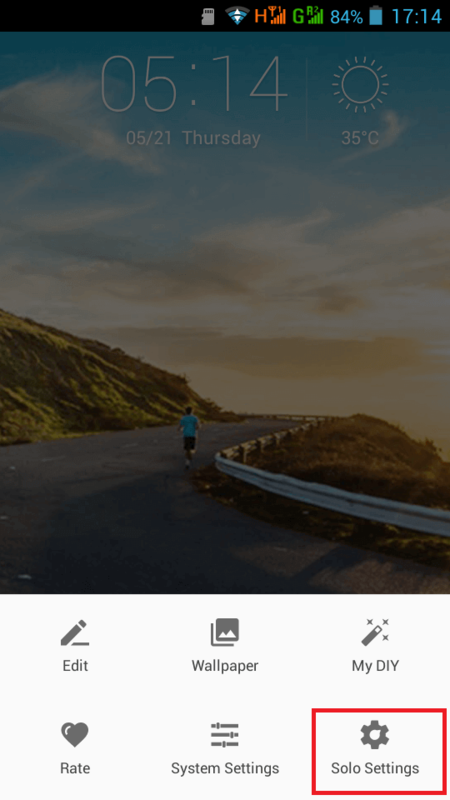 To download this android phone launcher, you should have active internet connection. The size of this launcher is 4.8 MB. So if you are going to use your mobile data to download this solo launcher, then you must have sufficient data. To download this launcher, Go to the play store and type Solo Launcher or click here to download solo launcher. After you download, just open this launcher and “set as default launcher”. To put the launcher on default, you need to follow the steps. Open the solo android phone launcher after installation. Or if you already open this launcher and want to set as default. Then click on menu button and tap solo settings. Now tap on “Set as Default Launcher”. A new selection pop up will open. 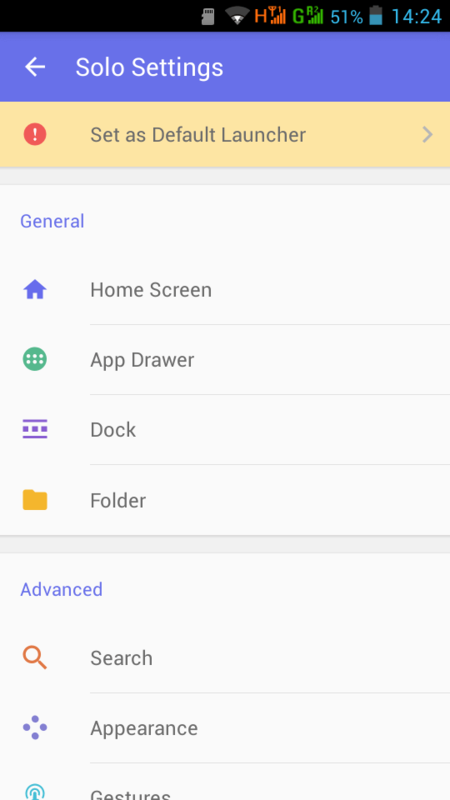 Your solo android phone launcher is now ready to use. You can explore many premium features of this launcher for free. 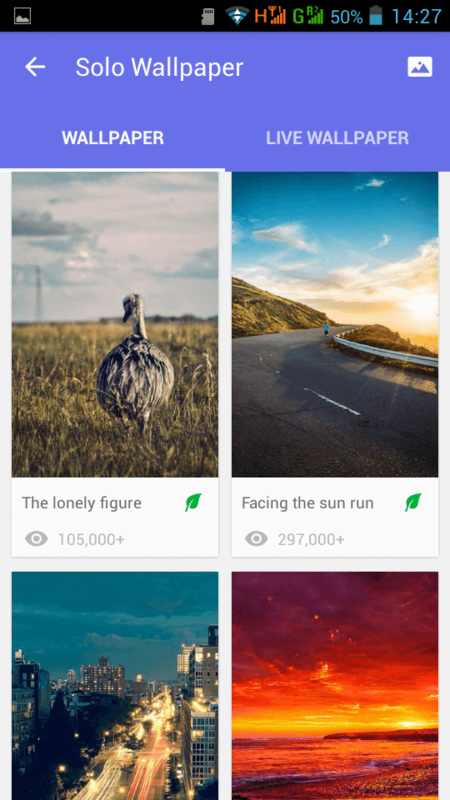 Solo launcher is also providing beautiful free wallpapers for your android phone. To access the free wallpapers, just tap on menu button and then select wallpaper. In my next tutorial, I will be having deep review for this solo android phone launcher. So subscribe to this blog or like our page on Facebook. Nice App to give your home screen a classy look. This is nice app. I love to use this. 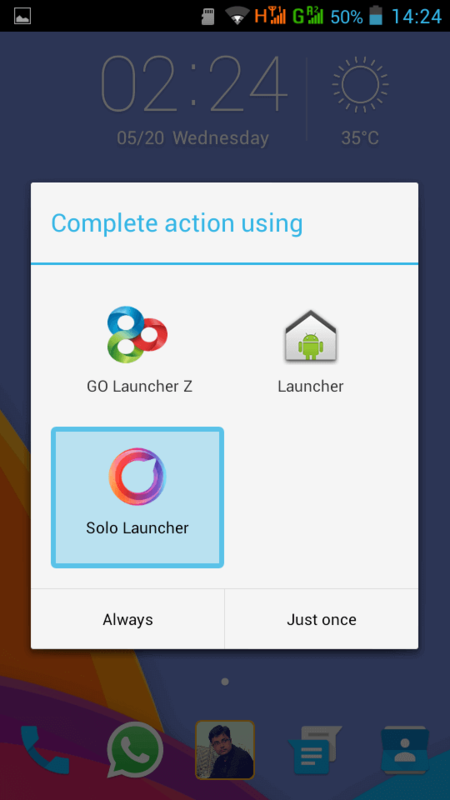 And Solo Launcher Developer team is continuously adding many new options time to time.